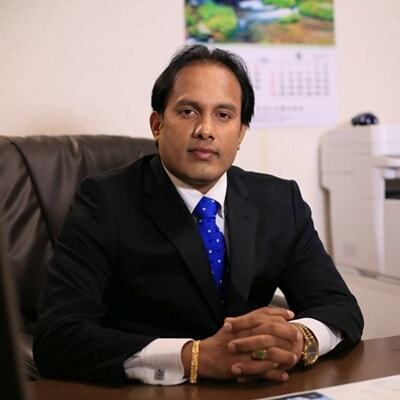 President of Mihila International Co., Ltd.
Mihila International under the guidance of Chinthaka Jayasinghe has achineved new heights in the automobile industry of Japan. Established in Year 2007 Mihila International has never looked back and has been streaming ahead from all the competitors to reach on top. Customers are the main pillars of any foundation and Mihila International has a solid foundation with their loyal and satisfied customers. Customer's Long term Relationship has been a key to success for us and we strive to take topmost care of our client needs and requirement. Chinthaka Jayasinghe is amongst the Board Members of SLAAJ representing Mihila International as reputable automobile export company in Japan. Mihila International not just only a name it is combination of Trust, Confidence, Safety & Satiscaftion. When you are dealing with us you are assured of legitimacy and 100% Safe and Secure transaction. We operate in other fields of multimedia, online trading, IT solutions and consulting & tourism industry along with automobile & machinery. Experiencing the clients from different sectors and fulfilling their overall needs to provide them with best solution. © 2019 Mihila International Co., Ltd.